Walk barefoot or bring your hiking boots for an intro to backyard foraging. 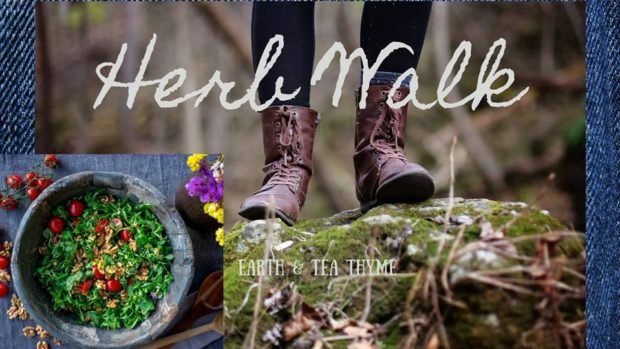 We are hosting one of our favorite Herbalists from Synergy Herbal Works and our partners at Southern Splendor Farms to take a bit of a walkabout. We will be enlightened and learn what we have right in our backyards to keep us healthy, wealthy, and wise. After our time in the field we will bring in our treasures and see what we can create in the kitchen. This experience includes a fun time outdoors as well complimentary tasty teas and yummy artisan cakes and gluten free treats. Bring a happy face, a notebook, and a friend because it’s a BOGO (Buy one get one FREE)!